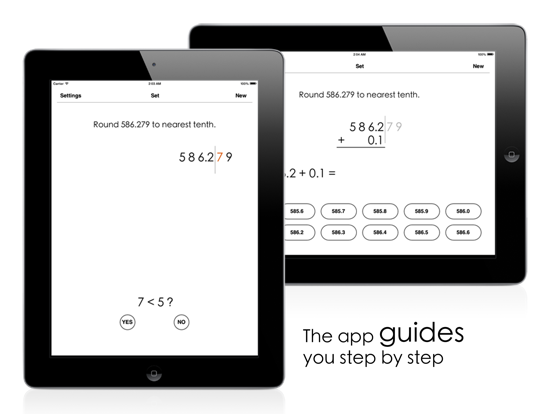 This math app can be used to teach and study the rounding of decimals. 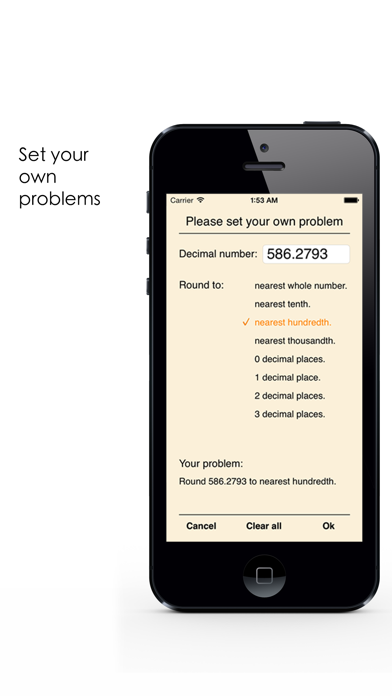 You can set your own problems or solve random problems. 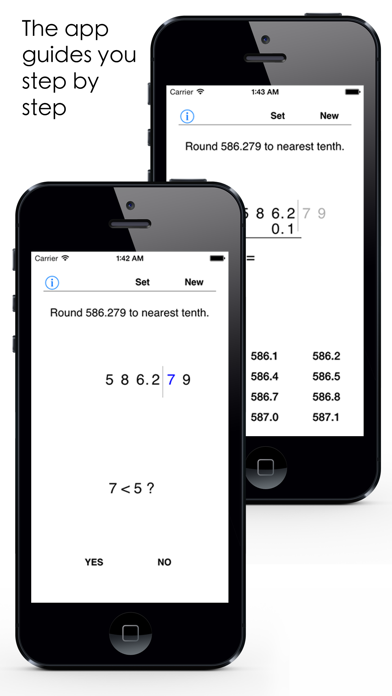 The decimal numbers can be rounded to nearest whole number, tenth, hundredth or thousandth. 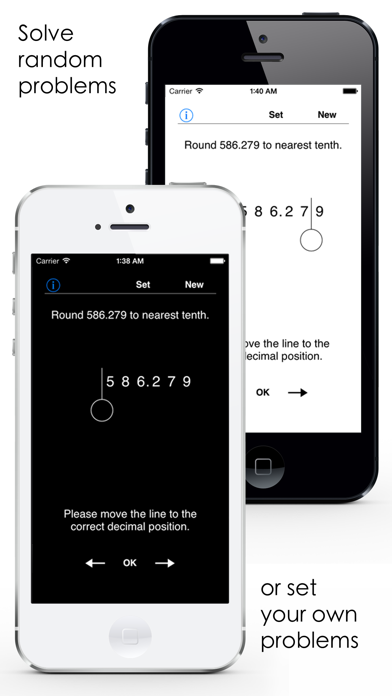 They can also be rounded to 0, 1, 2 or 3 decimal places. 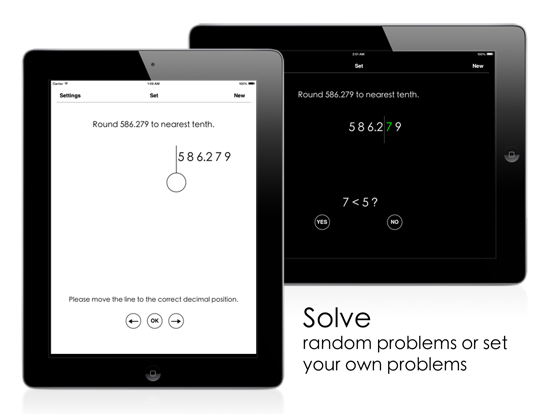 The app guides you step by step when you solve each problem and there are no penalties for wrong answers. 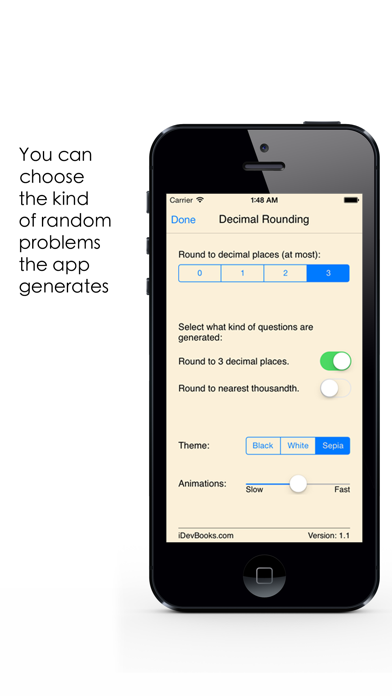 Clean interface and the total lack of timers ensures a stress free learning environment. 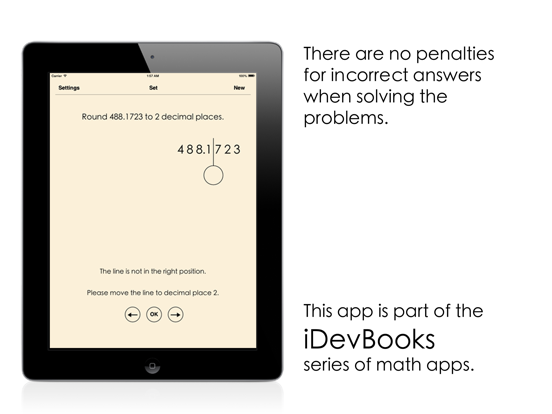 Some of the other 24 iDevBooks math apps are Column Subtraction, Column Addition, Long Division, Long Multiplication, Lattice Multiplication, Visual Multiplication Table, Fraction Math, Partial Differences Subtraction, Partial Quotients Division, Partial Sums Addition, etc.